Next Lincoln Navigator to Drop V8? As Lincoln positions itself as a global luxury brand, it appears the next Navigator will no longer have its optional V8. Ford’s luxury division, Lincoln, is currently going through a significant shakeup as the automaker attempts to turn it into a truly global brand. Looking over at crosstown rival Cadillac as proof, it’s clear that a global presence with real impact will be a difficult task but some big changes may be in order. Motor Trend has learned from Lincoln’s global director, Matt VanDyke, that the next-generation Navigator SUV will drop its V8 engine in favor of what will likely be an EcoBoost twin-turbo 3.5-liter V6, the same engine found in the current F-150. However, Ford will likely increase its output to a total of 365 horsepower and 410 lb-ft of torque over the existing 310 hp and 365 lb-ft. Fuel economy will also see a slight bump and the SUV's overall weight will drop as well. 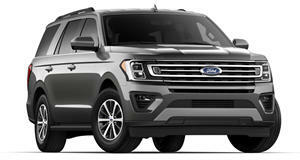 However, the next Ford Expedition will probably retain its optional V8 power in the form of a new 5.0-liter unit due to an existing customer base that prefers that larger engine. VanDyke also confirmed that Lincoln is going "all-EcoBoost". 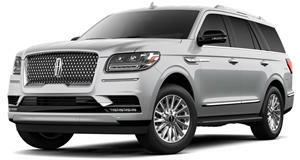 The Expedition and Navigator will probably each come with a base 3.7-liter V6 and an optional EcoBoost V6. In the end, only the Expedition will be available with the V8. The Lincoln Navigator has always been big and bold, but now it is properly luxurious. Ford’s largest SUV’s, now in its fourth generation, is genuinely pleasant to drive.